A congressional report lays MF Global’s collapse at his feet. Lawmakers also blame a familiar litany of cavalier Wall Street behavior, but say a combined SEC and CFTC would have helped. 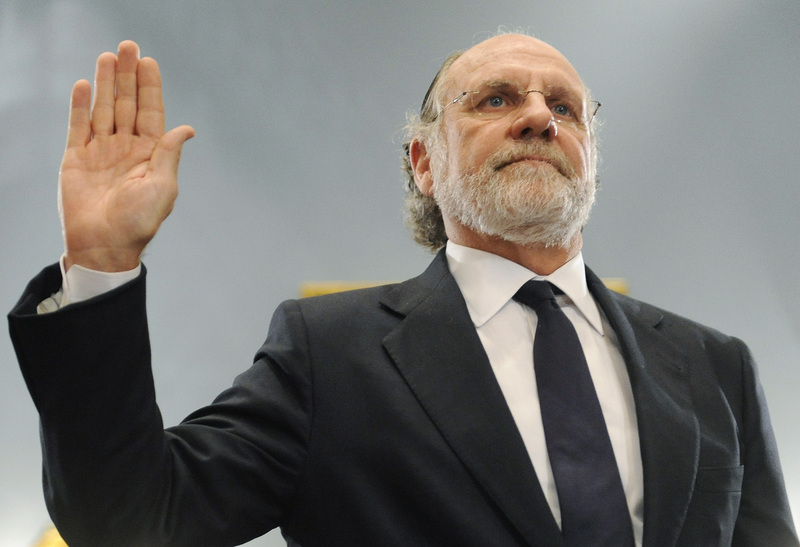 If Corzine’s actions inspire the move, something positive will have come from the situation. A staff report prepared for the House of Representatives Subcommittee on Oversight and Investigations released on Nov. 15 blames the collapse of brokerage firm MF Global last year on Jon Corzine, its last chief executive. The probe concludes that he tried to create an investment bank too quickly and too early, before restoring its core futures commission merchant business to profitability; did not build the right risk and liquidity management systems to deal with the change in strategy; sidelined risk managers who questioned him; and took on too much European sovereign debt risk. The report also criticizes Chief Financial Officer Henri Steenkamp for making potentially misleading statements about MF Global’s financial health; lambasts the rating agencies for failing to factor the firm’s burgeoning European debt positions into their analysis; hounds the New York Federal Reserve for allowing MF Global to become a primary dealer in U.S. Treasury bonds; and calls for Congress to consider merging the Commodity Futures Trading Commission and the Securities and Exchange Commission following the two regulators’ inability to communicate their concerns and recommendations about the firm to each other.